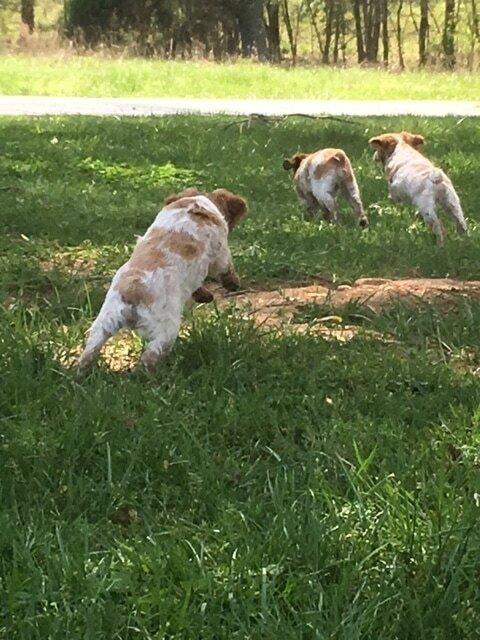 Announcing a Breeding oF GUN CH Lacie De Pays du soleil (call name skylar) wIth puppies ready to go to theIr new homes in Spring of 2020. We often have people on the waiting list for two years. All of Skylars pups from last yead had birds shot over them before they were a yeaR old. 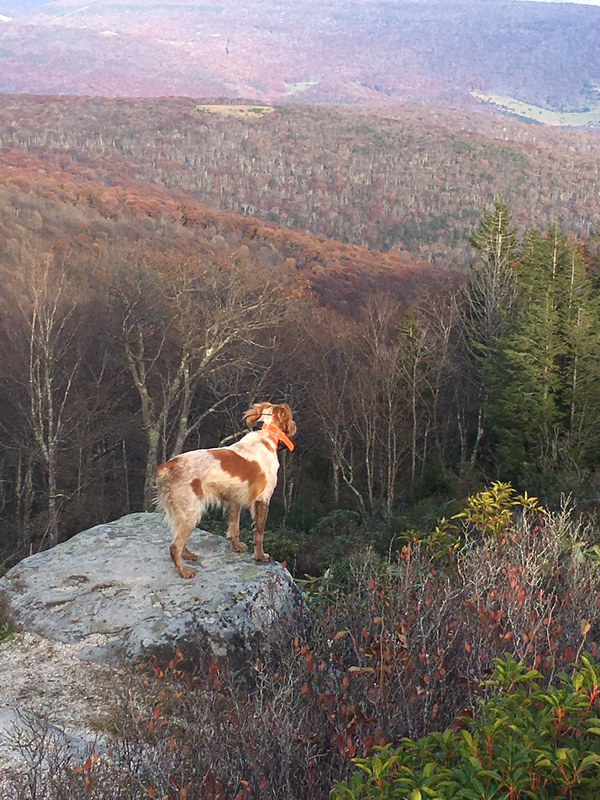 ophelia with cort had well over 15 rUffed Grouse shot Over her and numerous Woodcock. 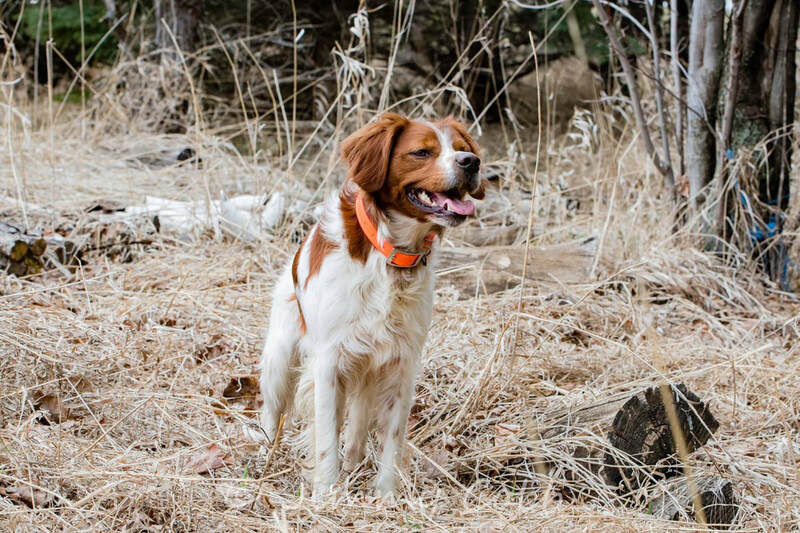 Otto pointed and heLd tWo grouse shot over him as well as numerous Woodcock. He he is a fantastic retrieving dog retrieving many of the Woodcock tHat fell in heavy brush. Greg’s Male max trained with legendary Mo Lindley who raved about him. O’Dessa did well on pheasants. 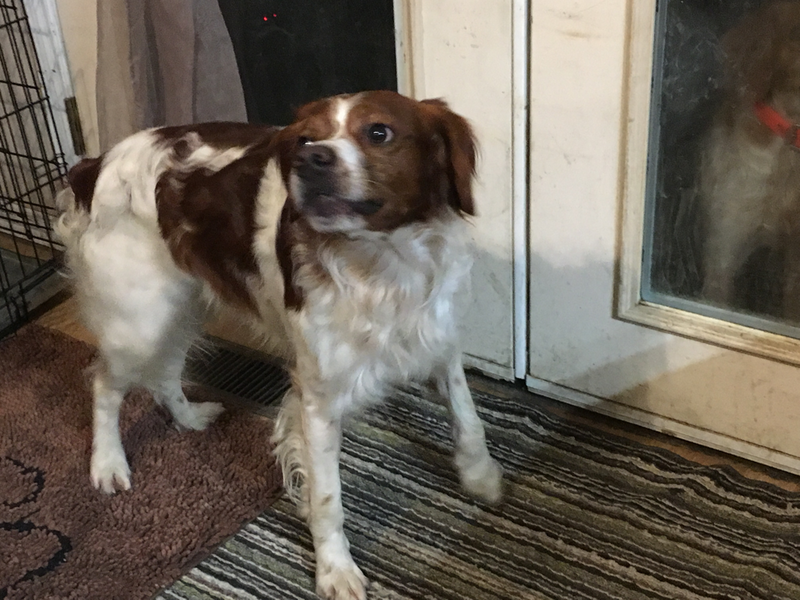 If you want great hunting dogs you will not Be dissappointed. 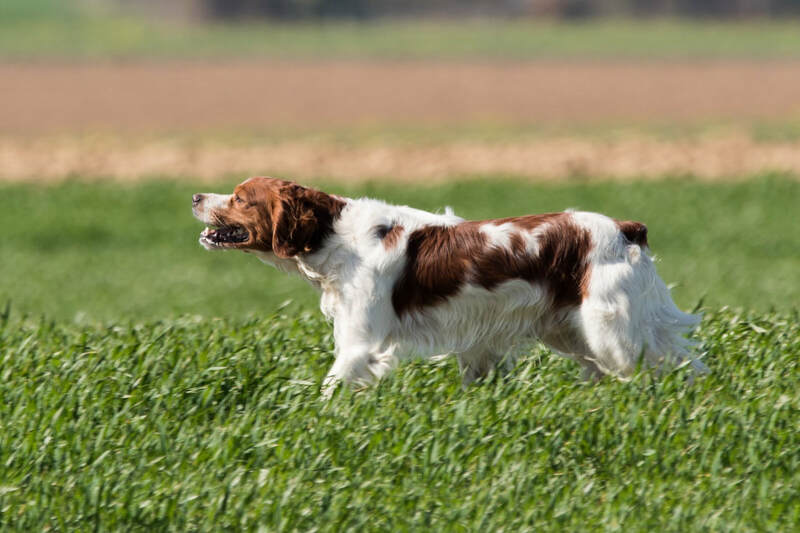 Skylar is great in the field (Ukc gun title and Show Champion) and in the house making super loving pets and gun dogs. 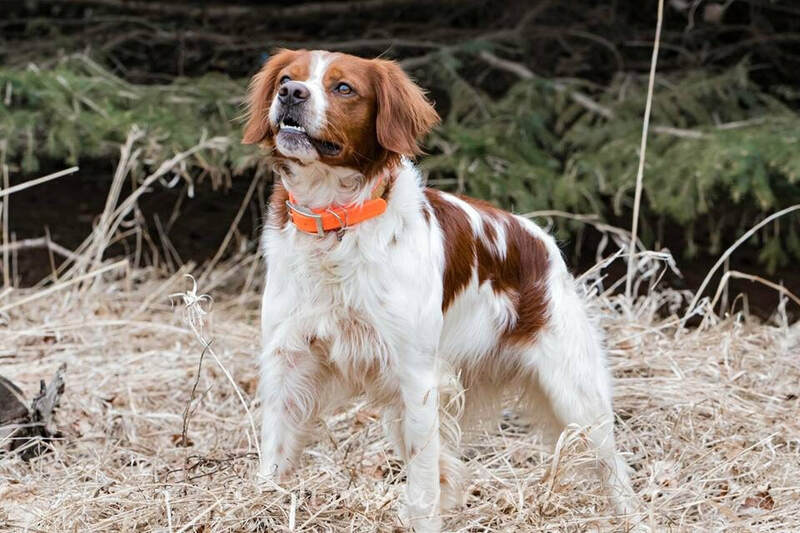 Skylar hAs hunted, Arizona, Maine, Virginia, West Virginia, Tennessee and Montana. 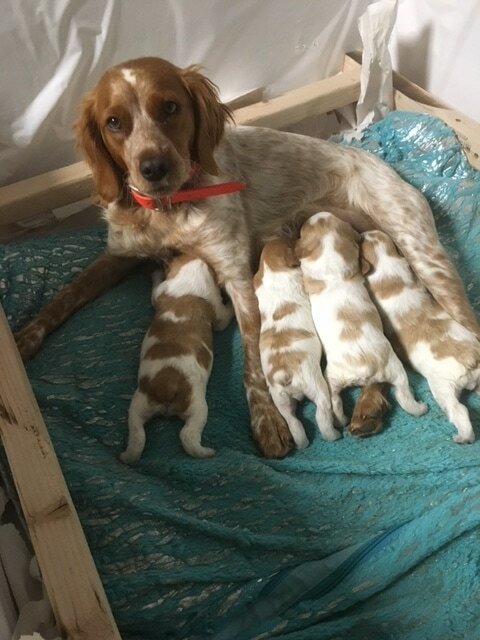 See last years puppies above and below. 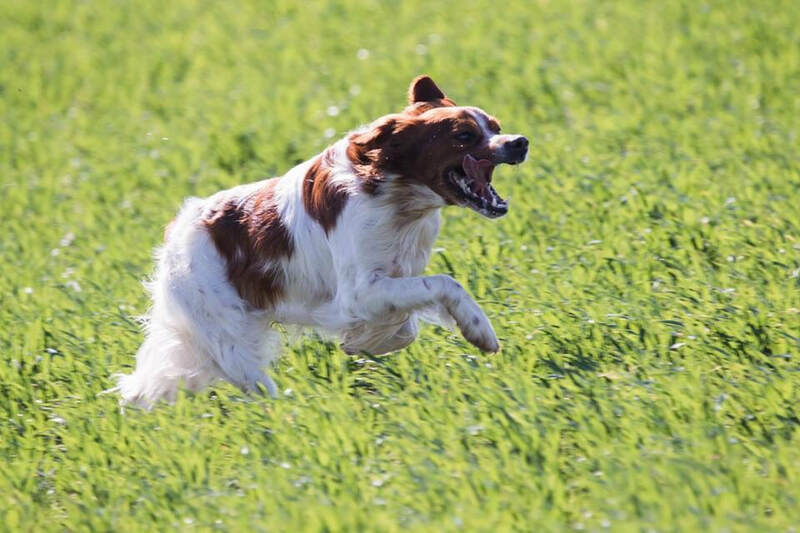 skylar will be breed in a repeat breeding next year to loki Bois du courcol who won best male Intermediate at CEB-US Nationals in 2018. 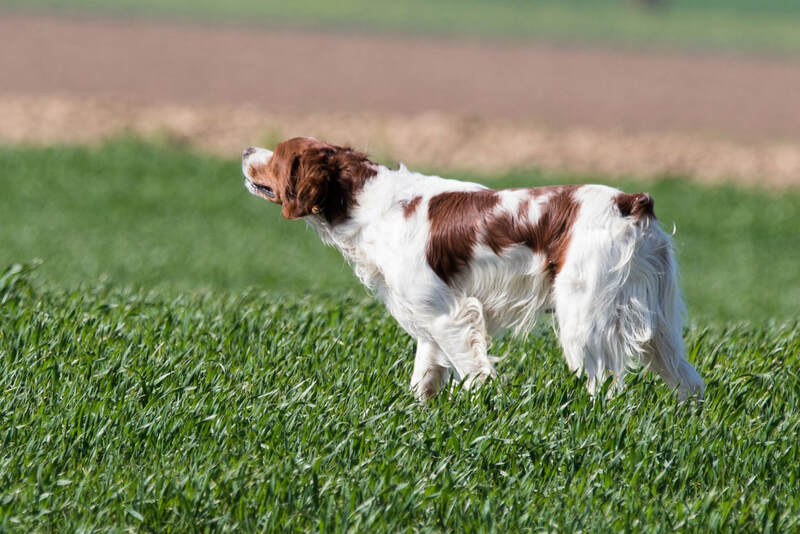 Loki is currently field trialing in France and won a CACT march 16th, 2019 on perdix (grey partridge) in Normandy. Pictures below. 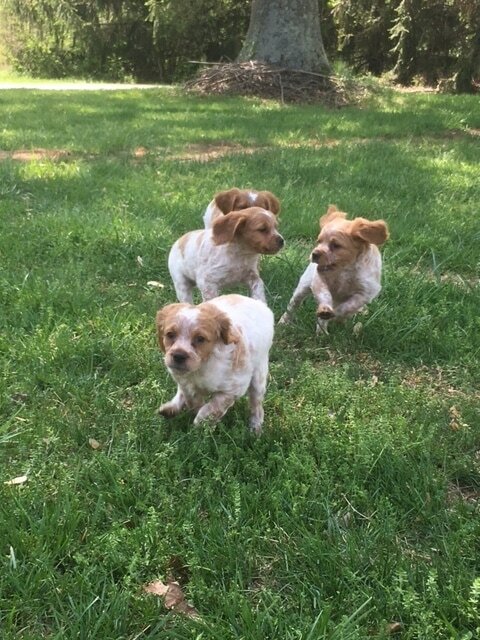 We are taking deposits for next years pups. 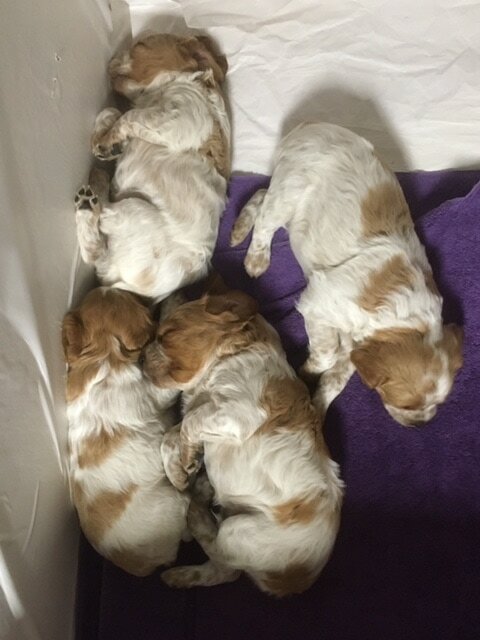 Female puppies are $1400 and males are $1200. 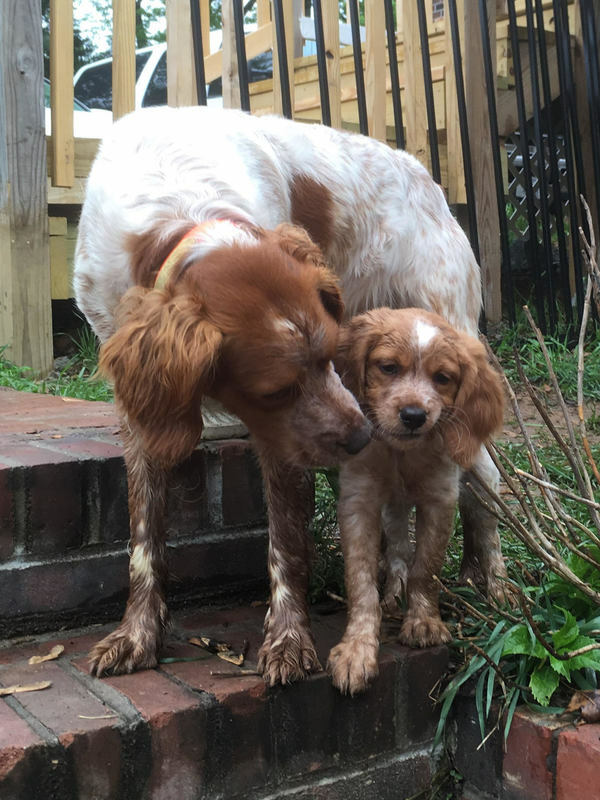 We require a $200 deposit for a puppy reservation. please call for more information (480)433-1942 Richmond Virginia. 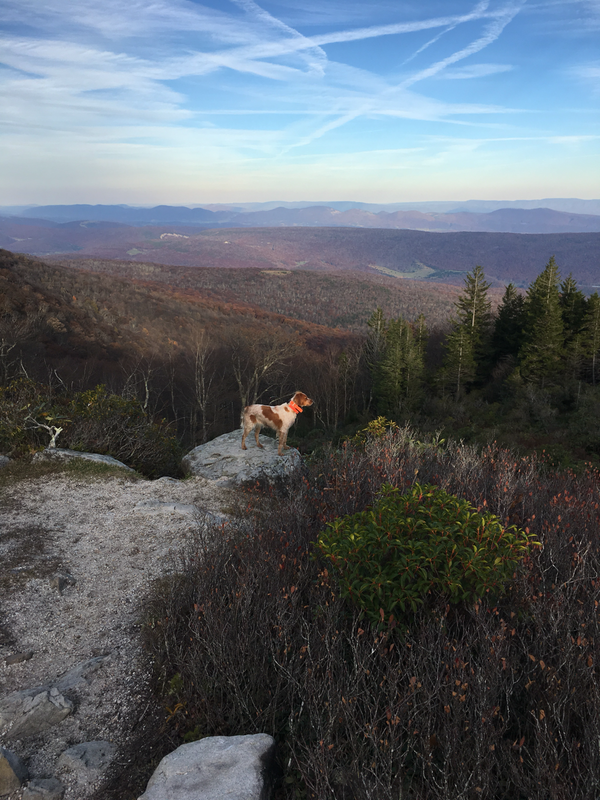 Skylar hunting wild birds in west virginia. Loki Du BOis Courcol. Photos without signatures are by Jean-Michel Gau in normandy March 2019 at a field trial. 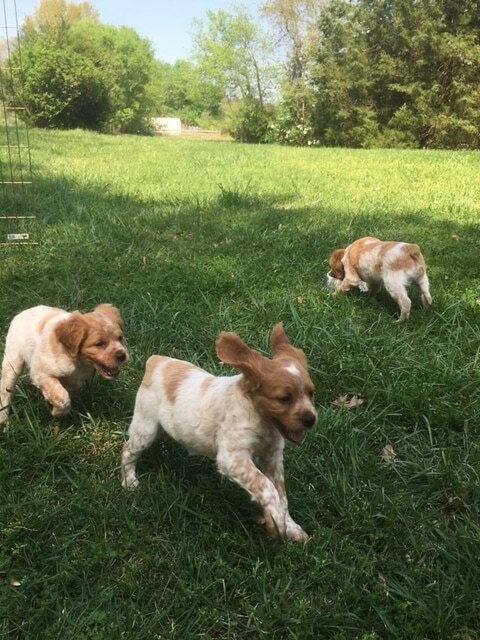 Puppy play time near the hay fields. 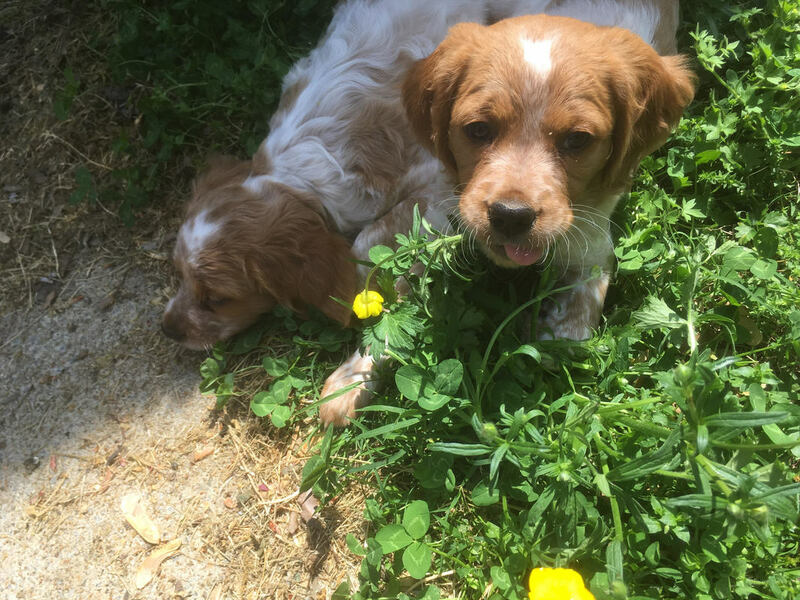 May 1st, 2017 our daughters are sad as Napa and Nakota go to their new homes today. 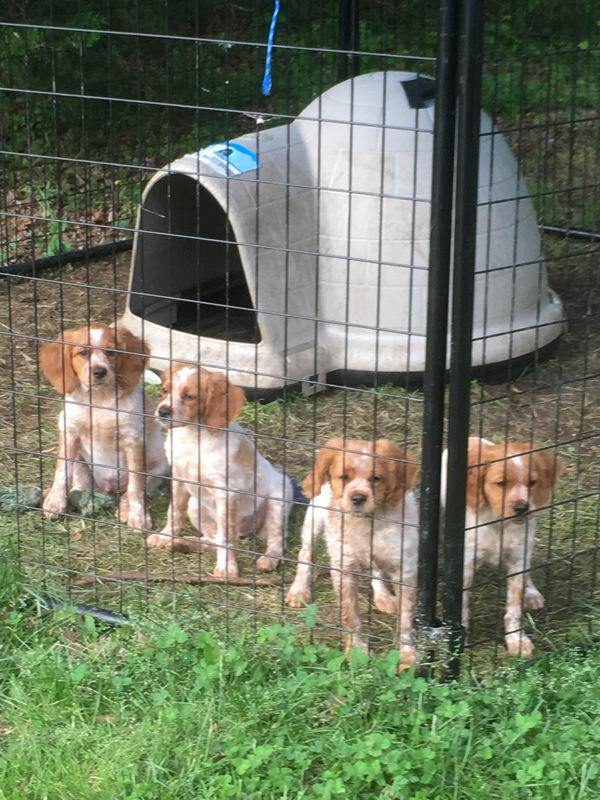 Nola is being picked up on May 9th, so only Noelle is available (female on far right). PUPPIES AT 9 WEEK VET VISIT. Skylar pups six week veterinarian check up. 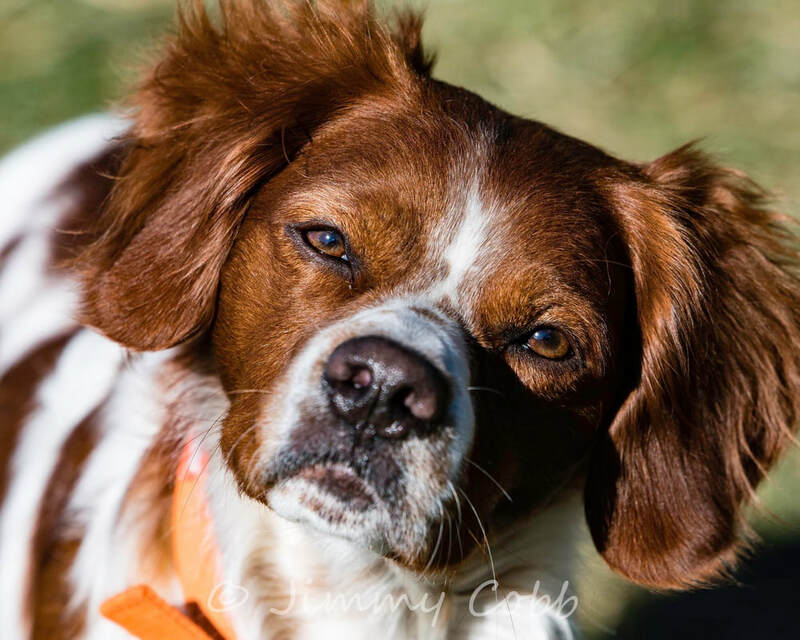 Loki Bois du Courcal (call name Kona)TAN is a French Import from Domonique Pozo and a cousin to GRCHF JUNO TEN BAR RANCH TAN who won a CAC at the 2017 French Brittany National Field Trials in Illinois in April of 2017. Lacie de Pays du Soleil (call name Skylar)TAN. 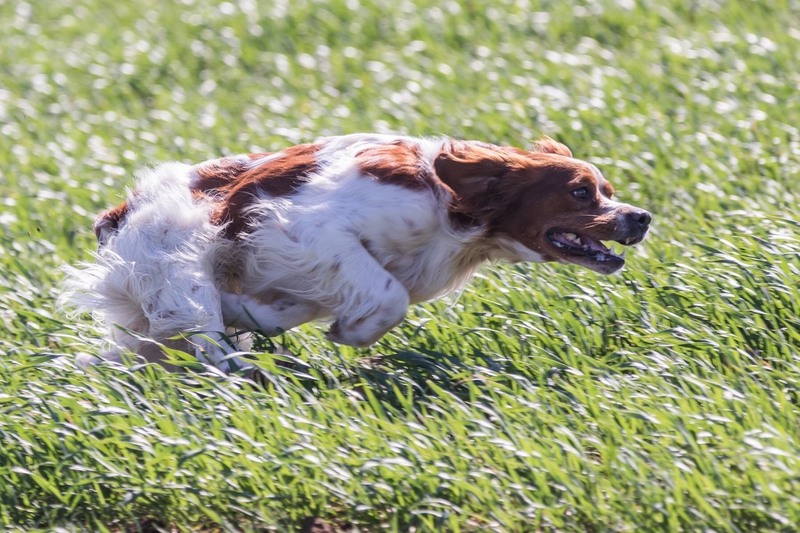 Her mother Gypsy du Talon de Goudron won the 2014 Arizona Pointing Dogs Shooting Class. Her sire Corentin des Grands Lacs (Cory) is a direct 2nd generation descendant of the 100 year French Specialty Show winner. Cory was also featured on the cover of Covey Rise Magazine. 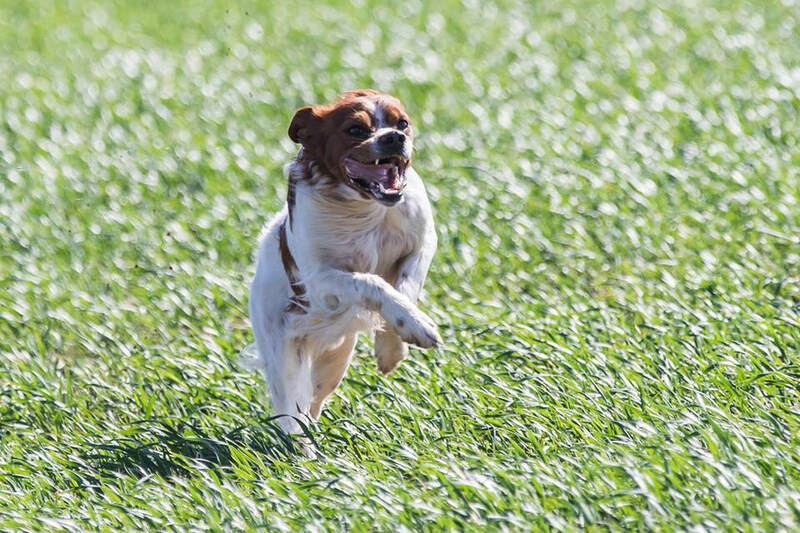 Both parents are natural pointers and love to cover the field to find birds. 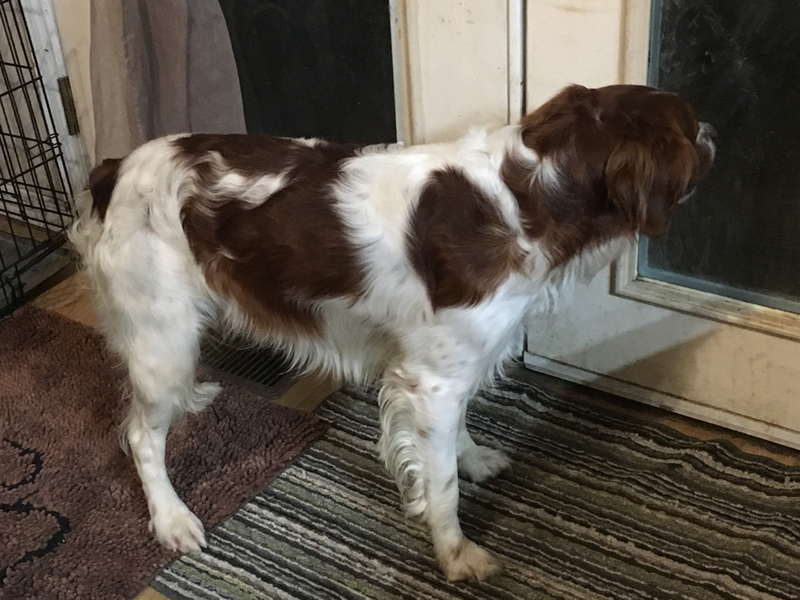 Both parents are super loves in the house and Skylar in particular cannot get enough pets and will sit there by your side as long as you are willing to continue petting her. 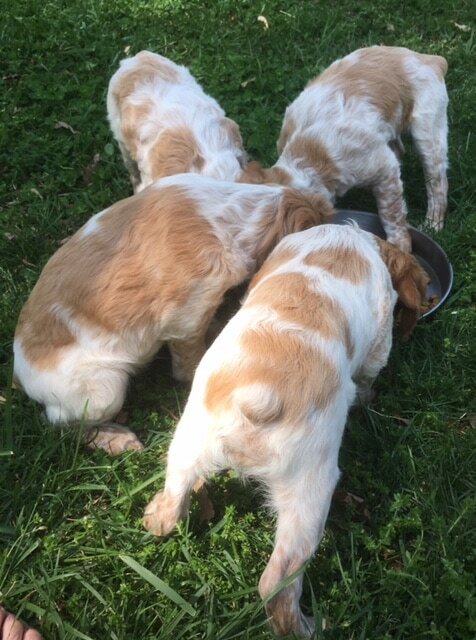 7 weeks old enjoying lunch outside. Lacie (Skylar) on left and Lord (Kona) on right.